We are wondering if anyone in the Newlands area has any re-stumping leads. The blog has come up with excellent recommendations for flooring. We're hoping the community might have some recommendations here too. Incr-Edible Food Swap of the Year. In partnership with the Multicultural Women's Sewing group, Harmony Day celebrates our diverse, local community with fresh food, fabric and fun activities for everyone to participate in. We will have a few local bread experts making, baking and 'breaking' different breads on the day for all to share. Dance and music performance from around the globe will be featured in a celebration of life, promoting harmony regardless of their faith and religion. We hope everyone has been staying cool over the summer. MECCARG are feeling excited by the prospect of another year of great community work down by the creek. We have our first activity of the year this coming Saturday at our usual time of 1-3. It is looking like being quite warm and we are thinking that once we move a little bit of mulch around and maybe do a spot of seed collecting that we could sit under the trees and drink icy cold water. We will have some lovely books to entertain the kids with and probably a couple of interesting weed books as well! We hope to see you there or maybe on another Saturday in 2014! Ps - if you haven't heard of MECCARG before we are a local revegetation group that works on the Merri Creek in between Murray Rd and Bell St. MECCARG stands for Merri and Edgars Creek Confluence Restoration Group. We love to meet new people and always have plenty to do!!! We meet on the first Saturday of every month from 1-3. Friday morning meditation is back again this year – 7.30am – 8.30am – starting this Friday the 31st of January. So if you have been thinking of trying some mindfulness and meditation come along and have a go. Experienced and beginners welcome. We are a friendly group. Cost is $15 per session. We will be running every second week outdoors meeting at the pedestrian bridge on the bend in Connolly avenue – and the alternate week will be at the Newlands Senior Citizens Centre on Murray Rd. Friday the 31st of January will be held outside. Rachael also has a facebook page if you are looking for some daily inspiration. 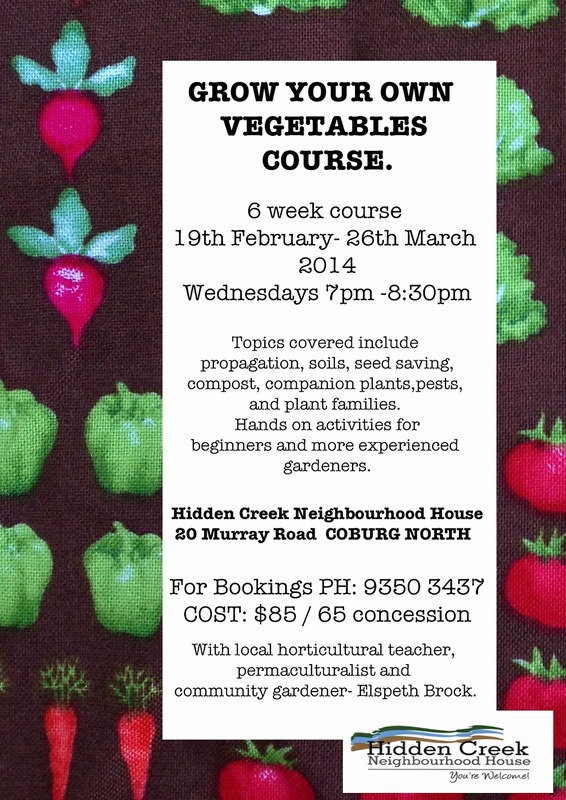 Start the new year with new ideas and techniques for your garden at Hidden Creek Neighbourhood House- Grow Your Own Vegetables Course. Classes will be tailored to the interests and experience of those attending with theory, practical tasks and free plants. Also provides the opportunity to meet some local gardeners. I have worked and gardened in Moreland for the past 10 years, including teaching at Ceres. Spread the word! After a lovely long break we are ready to start classes again on wednesday the 5th of February! For beginners or for those who wish to really go back to the basics and a slower pace (it's always a good thing! ), class is on at 6:30pm and it will run for an hour. Intermediate/advanced class will start at 7pm to 8pm, so we'll have half hour of mixed class beginners and advanced. We tried this last year and it worked really well for both groups! Term 1 will go from the 5th of february to Wednesday the 2nd of April, 9 weeks in total. 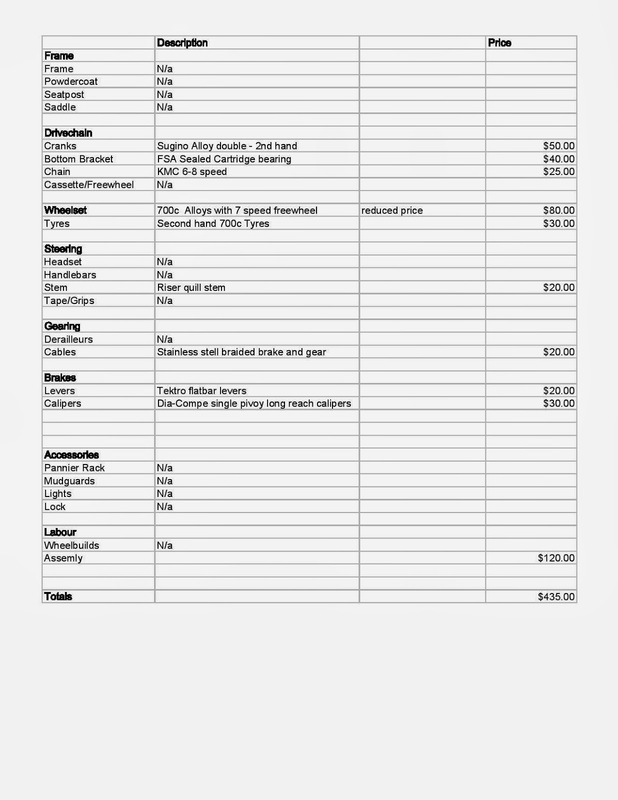 Cost for the term is $160, first trial class only $20 (if you decide to do the term this will be taken off the total fee). Class will run at the Coburg Baptist church hall, 298 Sydney rd Coburg, entrance through the side blue gate in Hatton Grove. We have got an exciting dancing year ahead! You can catch Melbourne school of Tarantella troupe performing at Antipodes Greek Festival in Lonsdale street on Sunday the 9th of February at 5pm. Looking forward to dancing with you, if you need any info contact me here or by phone and you can also keep an eye on our Facebook page and our website http://www.melbourneschooloftarantella.com.au. 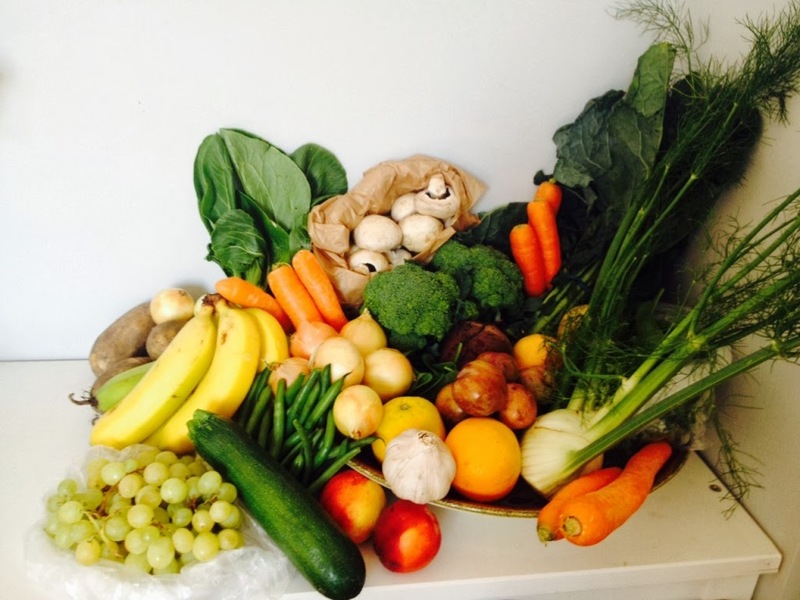 We've tried out a few other veggie boxes but found these to be the most varied with consistently fresh produce. Some of the produce is not strictly local (interstate at most) but it's all seasonal, ethically sourced and certified organic or biodynamic. Hi to this wonderful Newlands community. I've just moved back to Melbourne from the Uk and need a house sit to tide me over until I get my sea legs again in this lucky country. I'm available from the beginning of February, but any time would be fine by me. I'm 54, a widow with no children, clean and neat with an overly high sense of responsibility! I don't drink or smoke or take any drugs. I love cooking, reading, sewing and blogging. I like pets (although I must confess I'm more of a cat lover than a dog lover). I'm happy to look after your flourishing garden. I've recently been house sitting for lovely Maurice in Smith St in Thornbury and I'm sure he'd be happy to give me a reference if you'd like one. I love this area and would like to rent here eventually. I work as a medical receptionist as well as running my own business making Exotic cushions. I have a workroom that I share with my sister at Montsalvat. Please contact Jo on 0481 322 974. Start the new year with a practice to stretch your mind and body with Clare Fleming. 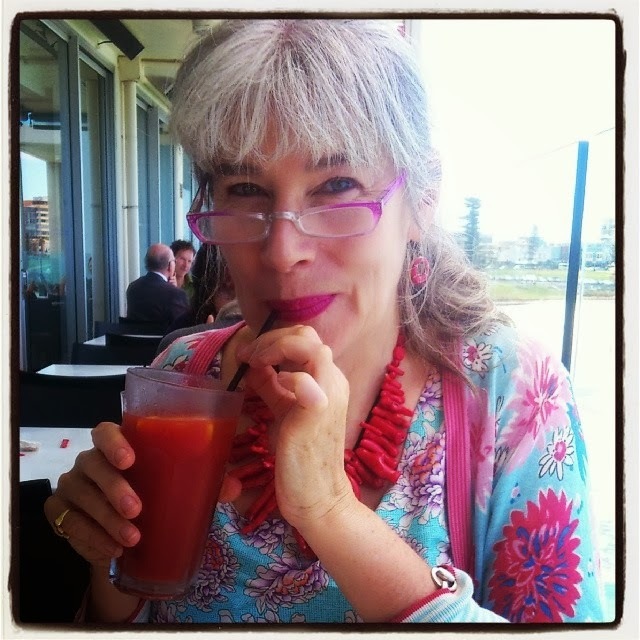 Clare is an experienced yoga teacher and has been working in the neighbourhood for over 3 years. The practice is defined by flowing sequences of movement, guided by intelligent use of breath. Yoga returns this Tuesday evening 28 January for a nine week term. You can just turn up on the night or give Monique a call on 0405151269 for more information. We knocked down our garage and have chopped down the roof beams and some other wood, for use as fire wood. If you want some please come to 59 Mathieson St, Coburg North and collect! I will put it in the front garden and let you all know when it’s all gone. There is also a stainless steel sink if anyone wants it and some tree cuttings that might be good for kindling in the driveway! Some of the wood has nails in it so please be careful. The Unity Through Partnerships Grants Program opened on 13 January 2014, and will close on 28 February 2014. · promotes education and awareness of racial and religious diversity and acceptance in Victoria. The total annual budget of the UTP Grants Program is $1.1 million. Organisations may make applications for up to $100,000. In previous rounds, grants have ranged between $5,000 and $100,000, with an average grant size of approximately $30,000. Applications will be accepted for festivals and/or events that are scheduled to run between 1 July 2014 and 30 June 2015. Read the Unity Through Partnerships Grants Program Guidelines attached to this email carefully, to ensure your project strongly aligns with the objectives of the program. Visit www.multicultural.vic.gov.au/grants for more information. For more information contact the Unity Through Partnerships Grants Team via email atclaire.millar@dpc.vic.gov.au or on (03) 9651 2931. If you can transport it, you can have it! 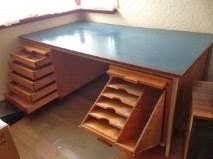 Large teacher style desk, very heavy, loved for over 20 years ;-) (see photo). 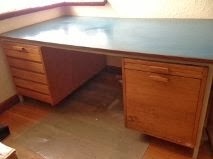 Dressing table with mirror, over 50 years old. Toddler activity table, solid wood. Please contact Leanne 0425 806 210. Thursday 23 January, 6.30pm @ the Temple Park Senior Citizens Centre (also known as the Trugo Club), eastern side of Temple Park. If you haven't been to meetings here, you can walk up Wilson St from the Jewell Station to the park. Some ideas which will be discussed are: a family picnic at Holbrook Reserve (which will be destroyed by the East West Link) in the lead-up to a rally in a central location in Moreland; an action at the zoo to highlight how the zoo animals will be effected, stalls in various parts of Moreland, we will also be discussing how to win the support of unions to stop the East West Link. The three contact people for the group are Sue Bolton 0413 377 978; Riki Lane 0400 877 819; and Michael Petit 0417 354 169. Can you help staff a stall to get the word out about the impact of the East-West Link? We are planning to have stalls on Saturday 1 February and Saturday 8 February. Over the next few weeks, we would like to do stalls at Union Square shopping centret; Barkly Square shops. Coburg Mall and other parts of Moreland. Many Moreland residents have been regularly supporting the pickets to stop the drilling for the East West Tunnel. The Linking Melbourne Authority has notified Yarra council that they want to drill at 14 sites. The aim of the pickets is to delay the project enough to force the governement to take the project to the election. Bring your thought, imagination, values and passions to this cross-sector innovation workshop. This experience is designed to give your nature related project ideas some creative lift through an injection of personal insight, diverse opinion and creative process. Whether you are looking for ways to better engage an audience with sustainability projects, facilitate connections to nature, design new programs or products, develop personal nature-related projects; this workshop will leave you brimming with new connections, inspiration and ideas. Join us in a celebration of local stories. Learn more about the history of the Newlands Housing estate and personal stories from the people who live here. Please bring food for sharing and discover that we'll have what we need on the night! Tuesday 11th February, 6 pm-9 pm. We have a friend who wants to buy a house in our fabulous neighborhood - he is a genuine buyer and not fussed whether it's an un-renovated house. He already has loan approval and is happy to do a private sale or go through a real estate agent. His budget is up to $550K. Please email me if you know of anything coming up or you may be thinking of it. We would like to thank everyone for their generous response to our nappy post. We've been thrilled with the donations of nappies and newborn toys/wraps that people have left - it's very kind and heartening in the face of such recent negative media coverage of refugee policy. We have enough of everything for now!! It is with sadness that I tell you that this week is my last day at the Preston Market, but it is with great excitement that I tell you the website for ECO Home & Body has been launched!! Come in and see me this Saturday at the Preston Market for 10% off your purchases. I look forward to seeing you then, and online! Apologies for the duplication if you already have this but I wanted to let people know that Coburg Olympic Swimming Pool have launched a survey about our pool on their Facebook page. It's a great chance for pool users to voice their opinions about what they like and don't like about our wonderful local pool. I also couldn't help adding a comment to the actual Facebook post. I've had some issues with opening hours and the inconsistent promotion of opening hours over the last week or so and although I hope that these issues may have been resolved, I don't think it hurts to voice what is important to you. Post by Coburg Olympic Swimming Pool. I have a lovely Ladies retro bike for sale. I bought it two years ago and had Chris from the Pedal Cyclery do some re-build work on it ($435 worth - receipt attached so you can see what was done to it) and it rides really well. I don't use it enough & would rather it be sold to someone who will get more out of it. The brand is GX Sports 10 speed, gold in colour and slight rust on original mud guards. 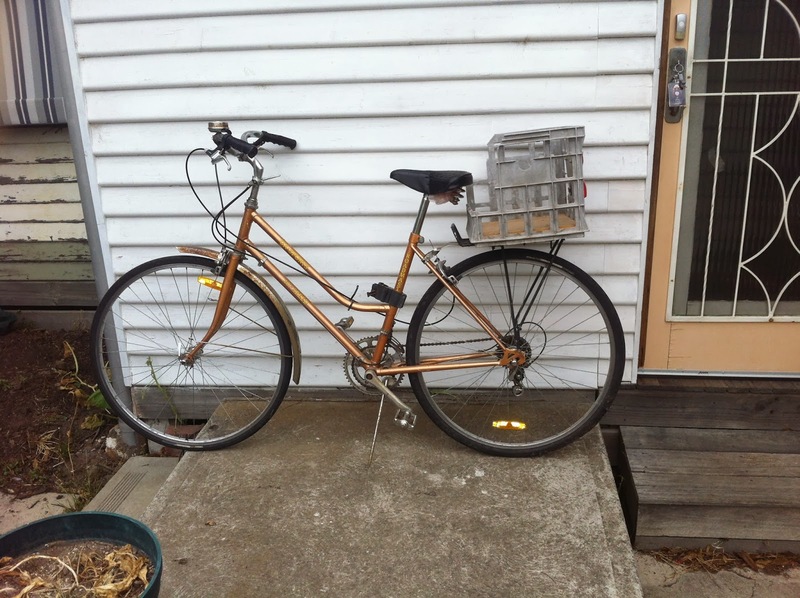 Milk crate on back can come off and back rack can hold panniers. Really comfy seat from another bike. 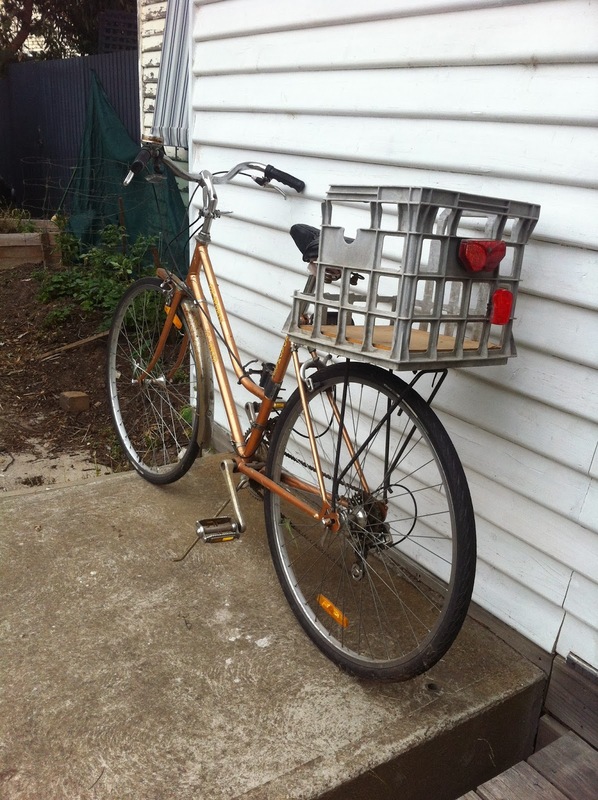 Please contact me for a test ride - $350 ONO - all genuine offers considered, don't be shy! ph: 0422 166 132 (please call anytime after 5pm M-F or anytime on weekends). Two days per week preferably late morning or around lunch time. Two small, adorable scruffy terriers who walk on a double lead. I can pay $25.00 per walk i.e. $50 per week. Preferably Wednesday and Thursday, negotiable. A walk and home for a cuddle and play would be great. I need someone who is mature, careful and trustworthy so references and police check would be great (yes, I have air conditioning). If you were happy to make it a shorter walk and charge $20.00 per walk I could pay $60 per week for three walks. It's more about a bit of company for my older dog. I am writing to advise that the FoEC AGM will be held Saturday February 1st at 1 PM. The venue is awaiting confirmation and will be advised ASAP. All positions on our committee are elected on an annual basis and nominations for any of our positions are welcome including President, Secretary, Membership Secretary and Treasurer. See you on the (really dry) creek soon. Hi everyone, hope your finding ways to keep cool. It is with regret that my excellent house mate is leaving for W.A. which leaves me now looking to replace a fantastic house mate. So I am looking for an employed person to share my 3 bedroom house in Ballard Ave Coburg north. Rent is $760.00 per month plus bills. I have a bit of a veggie garden and a couple of fruit trees and a 14 year old dog that sleeps in my room and on his couch. He wouldn't sleep on yours though!. He probably wouldn't want to share with another pet or kids, but we can negotiate that if need be. 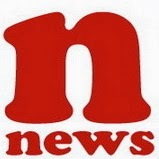 My contact details are; gi-atti@hotmail .com or 9354 9337 or 0458 357 035. My kids and I saw The Fairy Show yesterday and it was wonderful. If you are looking for a great family activity for the school holidays there are still a few days to catch this. Acrobatics Theatre For Kids of All Ages. Follow the story of Fairy Smart, Fairy Snooze and Fairy Nuff as they try to grant the audience fairy wishes. Join in and learn the song that makes the fairy dust work and then go on a mad-cap journey to find the fairy dust that the naughty gnomes have stolen. Clues have been left out and riddles must be solved before anyone gets to make a wish. 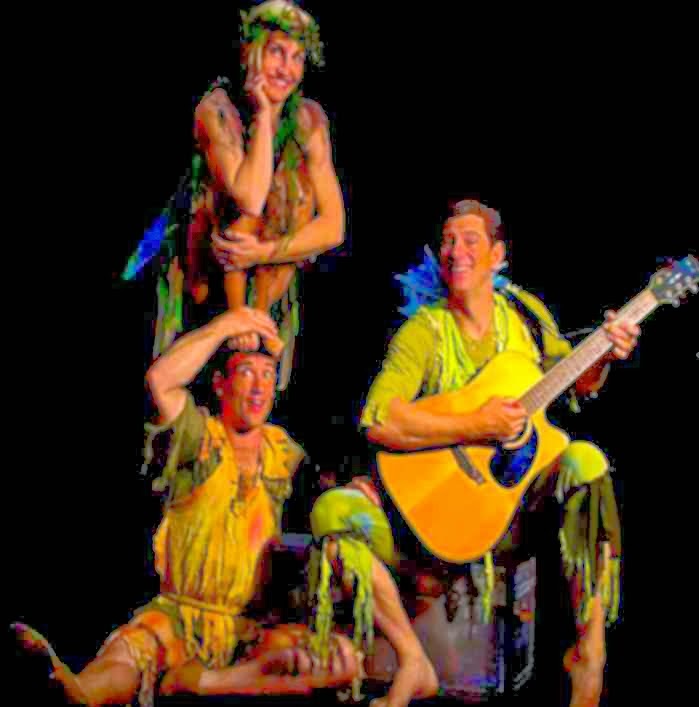 With Dislocate’s trademark mix of comedy and acrobatics The Fairy Show will excite even the most cynical of older brothers! The Fairy Show is set within the backdrop of Ceres parkland and is ideal family entertainment for young and old. Child Admission with accompanied Parent $15! Dave and Jane would like to thank the Newlands Community for so many offers of a port-a-cot for their camping adventure! How lucky we are to live in such a generous neighbourhood!!! I'm a Newlands resident with two boys (aged 1.5 and 5) and I'm wondering if there is a babysitting club operating in the area between families. The type of thing that runs on points based on how much you sit for others and vice versa. We've got no family in Australia and are finding it hard to get a break now and then, so I thought it would be fantastic to join a group like this, or if there isn't one up and running, perhaps I could start one up with some like-minded people needing some precious adult time!! My name is Samantha and I am organising the School Holiday Swimming Program in Moreland. The swimming program will run for one week only from Monday the 20th of January to Friday the 24th of January inclusive - so 5, 30 minute lessons. The program will be run at Coburg Olympic Swimming Pool as well as the Oak Park Aquatic Centre. The cost will be $50 per child, with classes available from infants through to school age (classes will be grouped according to age and ability). Once bookings are made times and classes will be finalised - all depends on the demand. The dog walker at Edgars Creek who met Jane, Cherry and Ralph's mum (2 golden terrier crosses), I have misplaced your contact details, could you please contact me or Mel on this website who has my details as I need your services sooner than expected. I am still happy to assist with your printed paperwork. Look forward to hearing from you asap! The latest message from the picket team reads: "ACTION ALERT: Meet at 5:30 am tomorrow morning (Mon January 13 ) on the crn of Alexandra Parade and Brunswick Street Fitzroy for another community picket against EW Link drilling." (Don't worry if you arrive after this time. Instructions will be left as to drill site picketers are attending if drilling has moved from the crn of Alexandra Parade and Brunswick Street Fitzroy. It looks as though a move will be made to another site. ) Residents heard that there will be drilling on Wellington St., between No one St, and Mater St. this coming week. As we mentioned.staff of Planning Panels Victoria reported that they are still listing submissions on the website.As at Friday there were 1131 on the website! We believe that it is important that submitters wishing to obtain a place at the hearing attend the Directions or Preliminary Hearing on Tuesday 14 January 2014 set by the Assessment Committee of Planning Panels Victoria. The Hearing will be held at the Mercure Hotel, 13 Spring Street, Melbourne and commences at 10:00 am. The Preliminary Hearing will address procedural and time-tabling matters related to the Public Hearings. Protectors of Public Lands Victoria Inc and the Royal Park Protection Group Inc will be there and it would be great if you could attend to show us support. .
(1) Protest at Zoo "Say No to EW Link Next To Zoo"to coincide with start of Twilight Night Concerts Friday 24 January 2014 and ongoing for some weeks. (3) SLiMS (Students University of Melbourne) Royal Park Festival 1 March 2014. Details to be advised. 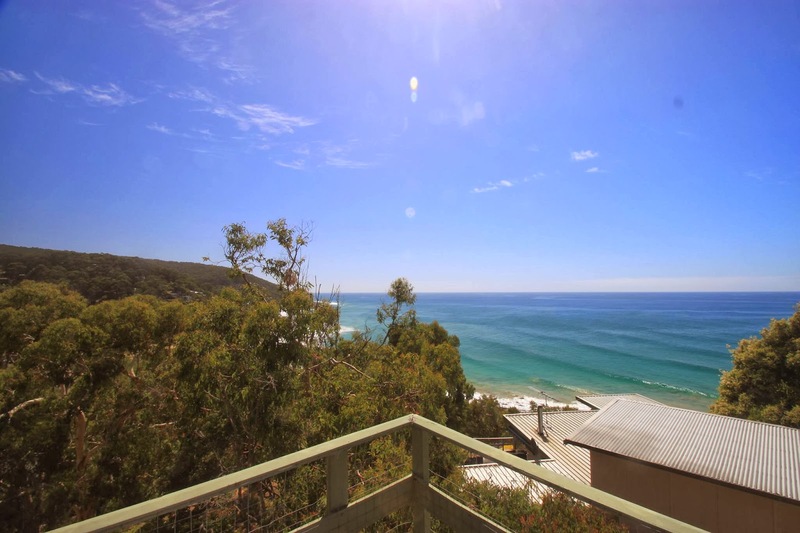 Committee Member Royal Park Protection Group Inc.
Retro beach house available for holiday rental at Wye River, 16 km past Lorne along the Great Ocean Road. 3 bedrooms, 2 x double beds, 2 x bunk beds, 2 x single bed. Mid-Jan til end of school holidays: $180 per night, $1260 per week. We're expecting our second child in about a week and have decided we need a little help! We're looking for someone to come in weekly for the next 6 months to do around 2 hours of cleaning - vacuum, light dust, mop, kitchen, bathroom, toilet, etc (to be agreed upon) - and a cheeky bit of laundry folding to fill in the rest of the 2 hours. We are hoping to pay $25 per hour as the agencies charge $30 and we want profit to go straight into pockets! We can supply all cleaning equipment (including a new vacuum cleaner!). If you are able to help us out, or know someone who can, please email me (Janya) at frogsrgood@gmail.com. It is not solid metal but hard to describe,curvy, made of thin parallel strips or rods. Very decorative and very comfortable.